Health Club and Pool – Club America, located in Silver Cliff offers a 25 meter lap/swimming pool, gym, yoga classes and more. (719) 783-0750. Tennis Courts on Hermit Lane. 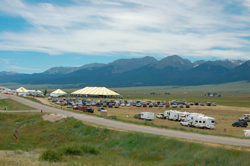 To get to Westcliffe's tennis courts, drive into Westcliffe and make a left on 4th Street. Go to the Hermit Lane, just past the park, and make a right on Hermit Lane. The tennis courts are located immediately on your left. Hermit Lane Park. (Tennis Couts/Soccer Fields). Westcliffe Town Park. Between 3rd and 4th Street. Playground. www.colorado.gov/parks. Select Lake Pueblo from "Find a Park" option. High Mountain Lakes. The Sangre de Cristo Mountains offer many high mountain lakes and streams for all varieties of angling. Fly-fishing. Southern Colorado and the Arkansas River offers some of the best fly fishing in the state. Sign up for a 1/2 day or full day guided fly fishing trip, both on the river and along it's beautiful shores. Learn from the pros. 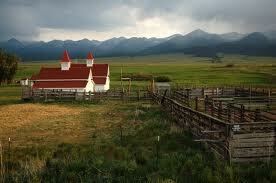 Experience the beauty of Colorado while horseback riding. Choose a local outfitter for a several hour ride, or take your adventure to new heights and sign up for day trip into the Sangre de Cristo Mountains. Bear Basin Ranch. Located just 15 minutes from Watson Land Co. Bear Basin offers horseback riding for beginners to experienced riders. (719) 783-2519 or visit their website at www.BearBasinPacktrips.com. Rainbow Trail. One of the areas best know hiking trails, the Rainbow Trail runs horizontally along the Sangre de Cristo Mountains at around 9-10,000 feet. The trail can be accessed by one of the many roads that head up into the Sangre range. Other hiking trails. 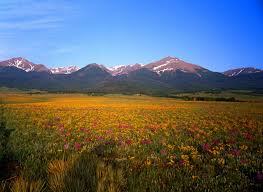 The Sangre de Cristo and Wet Mountains offer a variety of hiking options, too many to include here. Local merchants offer information on hiking in the area. Florence is fast becoming known as the best Antique Row in all of Colorado. Get a small group together and visit the more than 20 antique stores in this quintessential Colorado town. While shopping,don’t miss out on an amazing lunch at Main Street Grille, on main street in Florence. narrow gage railroad dining cars, and much more. Learn more by visiting www.royalgorgebridge.com or calling (888) 333-5597.
sand dunes are the largest sand dunes in North America. For information, go to www.nos.gov/grsa.